Knee osteoarthritis (OA) is a condition in which cartilage that normally protects the ends of bones in the knee joint gradually wears away over time, which leads to pain and disability. It is particularly common in older individuals and makes it challenging for them to perform many basic everyday tasks. This is why effective treatments and prevention methods are needed to target these patients and help them manage their condition, but there are currently no established interventions in place to accomplish this. Exercise therapy that focuses on improving the strength and flexibility of various muscles is one treatment that has been proven to be effective for knee OA patients, and it can be administered either at a physical therapy clinic or as part of a home-exercise program. Home-exercise programs are inexpensive and do not require special equipment, but some patients may have difficulty following exercises when not guided by a physical therapist. 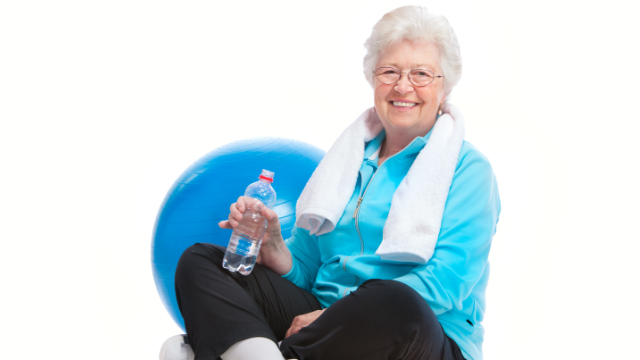 With this in mind, researchers decided to conduct a powerful study called a randomized-controlled trial (RCT) to determine how effective a home-exercise program was for older adults with knee OA and how closely they adhered to this program. Older adults with a history of knee pain in one or both knees were recruited for the study and screened to determine if they were eligible. This led to 52 individuals with knee OA being accepted and then randomly assigned to either the multiple exercise group or control group. All participants were taught a home-exercise program by a physical therapist and provided with an instructional booklet to help them better understand its components. Participants in the exercise group were instructed to perform three out of 10 possible exercises, all of which were strengthening or stretching exercises for muscles surrounding the thighs or hips. The specific exercises that were found to be appropriate for each patient in this group were based on an interview conducted by the physical therapist at the start of the trial. Participants in the control group were instructed to only follow one exercise, which was a chair-sitting strengthening exercise for the quadriceps muscles in the front of the thigh. All participants were instructed to perform three sets of 10 repetitions of each assigned exercise, five times per week for four weeks, and they were assessed before and after this intervention for various outcomes related to knee pain and function. Results showed that participants in the home-exercise group experienced significant improvements in knee pain, stiffness and strength compared to the control group. Exercise group participants also reported superior scores in their ability to complete daily physical activities, social activities and general health conditions. In addition, it was found that 96.6% of participants in the home-exercise group and 100% of control group participants adhered to their assigned programs. Taken together, these findings suggest that a home-exercise program consisting of strengthening and stretching exercises for various hip and thigh muscles can lead to a number of benefits for older adults with knee OA. The individualized nature of these programs—since they selected exercises based on each patient’s abilities—may have also had a positive impact on these results and improved patients’ adherence. Based on these results, patients with knee OA are urged to see a physical therapist, who can provide either a home-based or supervised exercise program depending on which is more suitable for them. Visiting a physical therapy clinic this time of year is a particularly good idea for those who have already met their insurance deductible or out-of-pocket maximum for 2018, as their visits may be covered for the rest of the year.